It's a cold and blistery 2010 President's Day in Delanson, NY. 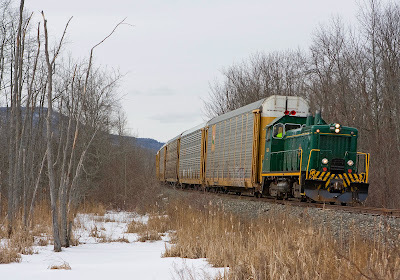 I'm the conductor on D&H train 939 picking up eight empty autoracks from the SNY interchange before heading south to Binghamton. Bill Mischler took the photo of me finishing my work. 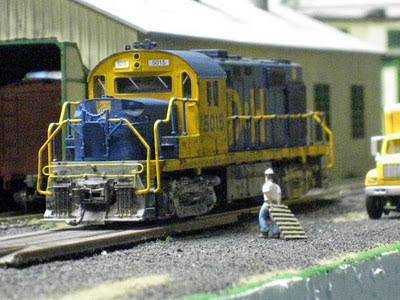 Here are a few pictures of my model of Cohoes Mohawk Paper Mill being switched. 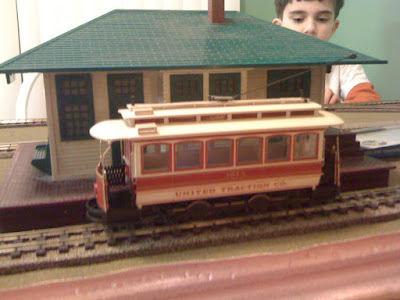 Picking up empties,spotting a clay car and finally spotting boxcars all in N scale! Well, here she is, just the way I like my girls. 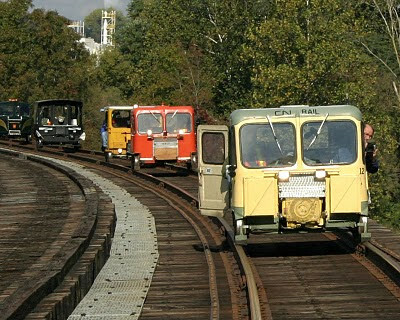 SVRR and the D&H 5015. Only Miles away from its final destination for the day. SMS Line's NE-1 is seen passing through the Black Creek Marsh Wildlife Management area with another load of Ford products. The distant hills seen above the dead trees in the foreground are the famous Helderbergs home to the Hilltowns of Albany County and John Boyd Thatcher State Park, known for its spectacular views of the Capital Region, Vermont and Massachusetts. 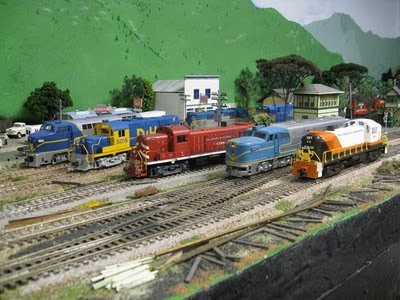 When I get back from the hospital, I need to weather the 5015 and the P&W Unit. The P&W is the 161 which was the D&H 4072. I have the kit for the 5015 and the Sinclare antenna. For the 4072, I have the headlights, Nathan M-3 air horn and the radio antenna to install. 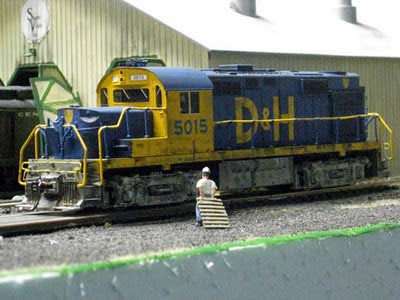 I'll simply paint over the P&W markings and put D&H shields on the cab and nose. 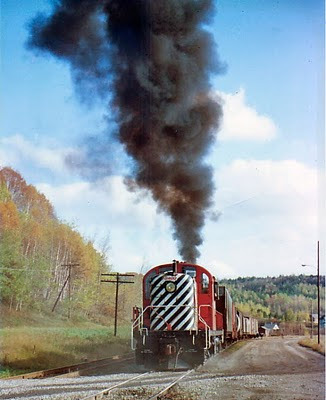 I've found enough pictures of the 4072 to be able to do that. On Sunday January 17th 2010 I turned thirty four, when I was born in 1976 you could find two Baldwin Sharks running on this line. Everybody figured when the "Sharks" left for Michigan in 1978 that you would never see another Baldwin running on the D&H ever again. Guess what SMS made it happen once more...Maybe not a pair of Sharks but beggars can't be choosers! Please enjoy the attached photo. Another interesting gem from Arnold Mooneys collection! The majority of us can identify with Arnold attempting to capture two shots here as the power comes by.........and getting one! In my case, even with the (advantage?) of motor drives with film cameras, I would be disappointed many times to get film back and notice my first photo was just a tad early, and the next photo would be just a tad late, ha,ha,ha! What a view here though from Arnold! For those who bemoan the current CSX paint scheme as unattractive, look at what the C&O did to those gorgeous GP-30s! Enjoy with thanks to Arnold Mooney! Taken on Lehigh Valley trip in PA & NY in the summer of 2009. The skin head with the video camera is me. and lastly from Gino DiCarlo, United Traction.